Yes, I admit, I love ginger beer and buying it from the store is kind of expensive. Searching the web for more information about my water kefir I found out that there are some similar grains that brew ginger beer. 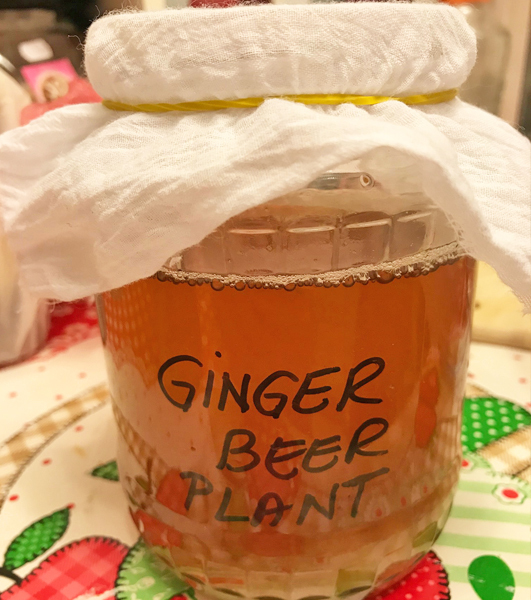 They are called Ginger Beer Plant (GBP). They are way much smaller than water kefir grains, but the process to ferment them is similar. Now I brew my own ginger beer on my kitchen table. I feed the GBP grains with water and cane sugar every 48 hours and they provide me the liquid that I need to brew the ginger beer. 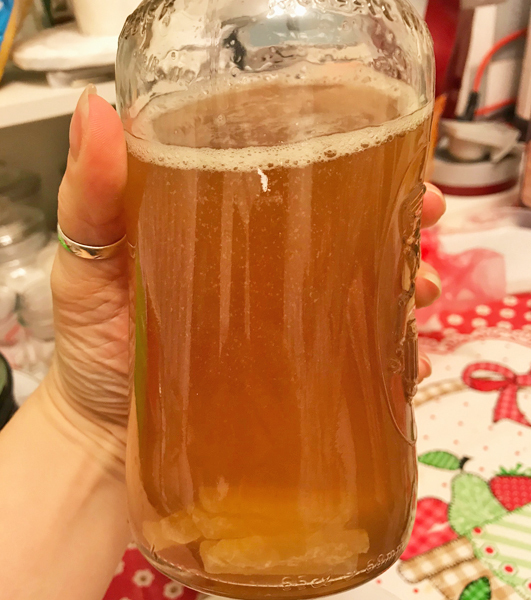 First I put some fresh ginger pieces into the sugary water but when it came to strain the grains I realized that small pieces of fermented ginger were left between the grains and I did not liked that. Now I only add ginger on the second fermentation. 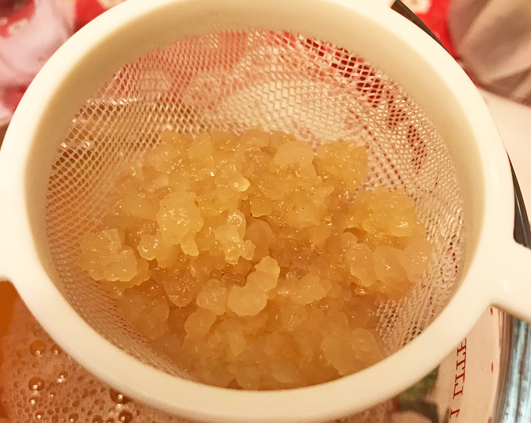 I use candied ginger as it is more convenient for me. Using fresh ginger means to buy small amounts of fresh ginger root every couple of days and they do not store very well once you cut pieces from them. Using candied ginger also add enough sugar to the brew for the second fermentation. 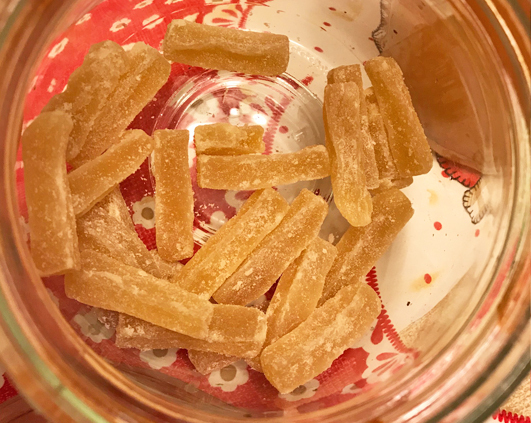 So I cut few pieces of candied ginger and add them to the bottle. I let the mixture to ferment for another day or two on the kitchen table and than I store it in the fridge. The taste is way better than any shop bought ginger beer and the most convenient thing is that you know what you put in your drink. If you want to make your own beer at home you can buy the GBP grains from FreshlyFermented. 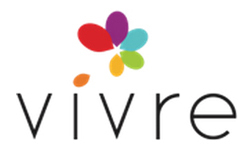 Their services are great and they are very communicative and helpful.